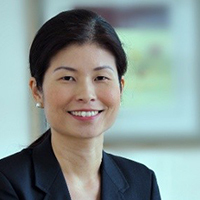 Across two stints at Emirates Group, Valerie Tan has risen to a leadership role that covers public relations, social media and internal communications for global airline Emirates and air services provider dnata. Based in Dubai, Tan leads an in-house team of 30 professionals, overseeing a support network of over 80 communications agencies in the implementation of internal and external communications activity for Emirates and dnata worldwide. Tan has over a decade of experience in communications, and has also held leadership roles at Weber Shandwick in Singapore. The work is varied, engages both the right brain and the left, and requires practitioners to keep evolving their skills. What most frustrates you about this industry? That it is still so hard to measure and quantify the value of influence and earned media. What are the communications industry's biggest challenges and opportunities? Cut through and credibility in today's information flood. This creates opportunities for brands, media channels and influencers to establish themselves as trusted and preferred sources of information that consumers will subscribe to. Data, insights and new PR tech tools will help us get the right message to the right audience at the right time. How do you relax or change pace when you're not at work? Escape into alternate worlds – sci-fi and fantasy movies and books are my secret vice. A writer, or a teacher.